EA’s Origin Twitter account spilled the beans on Battlefield 4: Dragon’s Teeth’s release date back on Friday. July 15th, the tweet revealed. Then it was taken down and replaced with one absent the release date. The release date has now been confirmed, and shocker, it is indeed July 15th. That date is just for the Premium folk, of course. The unwashed masses will need to wait until July 29th for a chance to play with the new Asian maps that include a floating restaurant and a lake that can be drained. 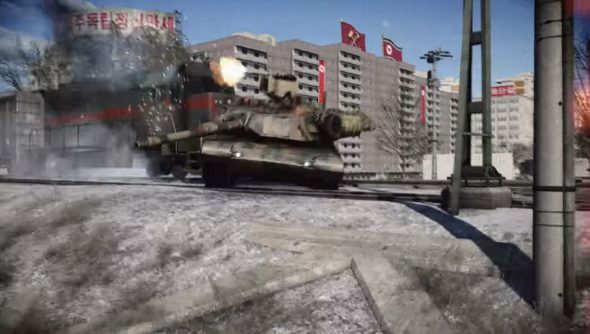 Along with the new maps, Dragon’s Teeth introduces the ballistic shield, a remote controlled vehicle and new weapons.